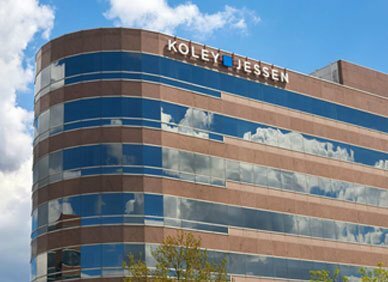 We are pleased to welcome Bryan E. Slone to Koley Jessen. Bryan is a licensed attorney and has been hired to an Of Counsel position with Koley Jessen and will lead the tax practice group and conduct a government affairs practice. He will also be joining the College of Business Administration at the University of Nebraska-Lincoln this fall as the first Executive in Residence in the School of Accountancy. Bryan was a recent candidate in the primary race for Nebraska governor. Prior to entering the Nebraska governor’s race in 2013, Bryan was Managing Partner of Deloitte’s Omaha office where he was responsible for leading and managing all aspects of the firm. Prior to joining Deloitte, Bryan practiced for eight years in the Washington, D.C. office of Wilmer, Cutler and Pickering law firm (now the 1,000-attorney Wilmer Hale firm) where he served domestic and international clients and was co-founding partner of the first U.S. law firm office in the former East Berlin following the unification of Germany.